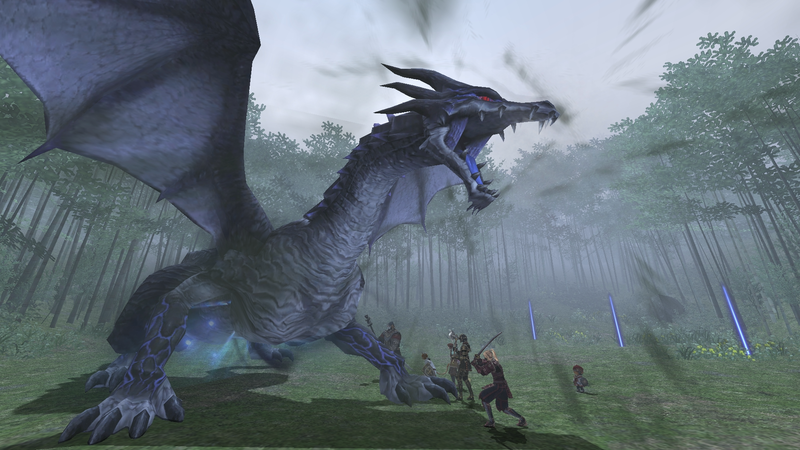 While support for console version of Final Fantasy XI have recently shut down, Square Enix plans to continue to support the PC version of the game through its fourteen-year anniversary of service. In a special announcement today, Yoji Fujito will take the place of Mizuki Ito as director of Final Fantasy XI. Fujito has served the team by producing system and non-battle content; he shared this message below via the game’s official site. Up until this point I have been involved in system and non-battle content, as well as team operational support, and now have been chosen to be director of the project. I feel the weight of responsibility on my shoulders as I take the reins of one of FINAL FANTASY’s numbered titles as its fourteenth anniversary is nigh. Although part of me wonders if I can handle it, I vow to give my all to meet the expectations that you have for the world of Vana’diel. I hope you will be by my side during this exciting journey! Producer Akihiko Matsui shares that minor updates will be coming monthly, so that Final Fantasy XI “will continue to be a place for adventurers of all stripes to gather and enjoy both the content and spending time with each other”. Cue the April Version Update. In summary, this month’s content includes the ability to summon mounts (other than chocobos), and a new battle content called Ambuscade which takes place in one of the archmage Abdhaljs’s many maquettes. The parameters of an Ambuscade will change month by month as new version updates go live. You’ll be able to earn a special currency called Hallmarks by participating in the content that can be spent on various rewards. Note that after each monthly update to Ambuscade, your Hallmark count will reset. The game also features many updates to existing systems like Voidwatch and the Trust system, as well as a second Mog Wardrobe. You can peruse all of the details on the official forum here. I miss that game so much. I wish I could play it single player. Well I heard the “trusts” practically make it single player right? Anyone still playing 11 has my respect. Dedicated. I declare everyone who is still playing XI stupid that they are still doing it. XIV is way better. It is but i guess 11 has a place in their heart. As someone who had played FFXI and now plays FFXIV. I can say that FFXI was the better game when it came to exploration of the world, partying, and difficulty; not the end game content, the overall aspect of stuff, you can get destroyed in FFXI easily if you’re not careful and you had to earn your stuff. FFXIV is the better game when it comes to storytelling, gameplay, and easiness to get into. FFXIV lacks the exploration aspect, mainly due to the use of instances, but I digress. Imo both games are good, none are better than the other tbh, they both have annoying nerds bickering at each other over dumb stuff. Pretty much. Put it this way, those bloody genkai quests and RoZ-CoP are simple thanks to those trust npcs party members. Even seen people take down the story boss with trusts. I do agree on the partying and difficulty argument. But first: I am more a solo player myself, so I do love the way XIV almost feels like a solo play game, despite being an MMO. And I love story heavy games, so also for that reason XIV is better to me than XI. By which I certainly don’t mean that XI is a bad game. But after 5 years of playing it, it was time for something different. It’s not a bad game, certainly not. But after 5 years is was certainly time for something new. Understandable. The good thing about FFXIV is that it was redesigned to be a solo playing mmo after FFXIV 1.0 was a disaster and tried to force you to do parties. Anyone else but me remember daily quest limits? The reason why FFXI sucked doodle for initial solo players like you and I, was because FFXI release was in the days of yore when solo playing was ignored because of the example EQ set. Also yeah FFXIV’s story driven gameplay is always the high point over FFXI. XIs story didnt even truly exist until CoP, then WoG, and RoV…lol SoA had nothing good except the theme song, but yet again I digress. And five years playing it, huh, I sure hope you were gone by the time Abyssea started ruining everything.